It’s that time of year again when unwanted weather patterns like severe thunderstorms, rainstorms, and tornadoes can wreak havoc on homes and businesses. 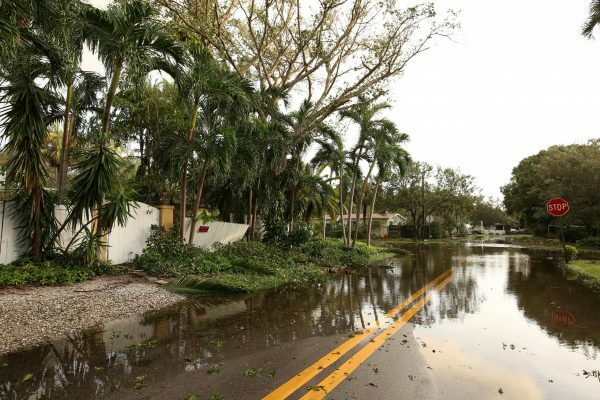 While certain areas of the country are more apt to face tornadoes, virtually everyone is at risk for heavy rain, winds, and hail, which can cause flooding, power outages and structural damage. Whether you’re in the Midwest, the Southwest, the Great Plains or any other part of the country, it’s important to be prepared for the upcoming storm season. 1. Have a plan. Assign everyone in your house a defined role. Let someone be responsible for gathering your pets; someone else, medication and important, irreplaceable documents. Identify areas of your home that are most secure so you can take cover. And while having a plan is a great first step, practicing it is even more important. 2. Make electronic copies of all important documents. Take pictures of your home and its contents to use with insurance providers after damage has occurred. 3. Update your contact list. Make sure it includes critical phone numbers such as insurance providers, emergency response agencies, professional restoration companies and certified home inspectors that can immediately evaluate and assist with damage. Also, be sure to have multiple ways to contact your friends and family to tell them where you are and what you need. Have back-up chargers available in the event you lose power. 4. Know how to turn off your utilities. In some cases, you need to be prepared to turn off water, gas and electric service if asked to evacuate or if flooding is imminent. 5. Take steps to keep your home protected. If water enters your home, you can help limit water damage to your contents by lifting drapes off the carpet, looping them through a coat hanger and placing the hanger on the drapery rod. Outside your home, keep mulch away from the foundation to minimize the risk of water collecting near the building and possibly leaking into the basement. 1. Safety first. Floodwater may be electrically charged by downed power lines. If you see any fallen power lines, call your utility company immediately. Do not assume someone else has already contacted them. Once authorities give you the green light to re-enter your neighborhood and home, make sure you have the proper gear to do so. Use waterproof boots and gloves to protect your skin from unpleasant or dangerous pollutants in the water. 2. Check the structure. If your home’s structure or foundation appears unstable, do not attempt to go inside. Immediately call for professional help and get a thorough assessment of the damage. Water damage after heavy rains can cause walls, ceilings and floors to swell, decay or collapse. 3. Take inventory and contact your insurance agent or home inspector near you. Photograph and document all damages to your home and belongings to support any future insurance claims. As soon as possible after a storm, contact your insurance company or representative to check your coverage and start the claims process. 4. Limit damage. Rainwater and floodwater can damage your home’s contents and structure, and create ideal conditions for mold growth within a matter of hours. However, because floodwater is often contaminated, extra care should be used when entering the property and removing damaged items. Work with a qualified professional to prevent additional damage. a. Make sure they have industry experience and expertise. b. Make sure they offer 24-hour emergency assistance. c. Make sure your insurance company works with them or they are on an approved list. Don’t take Joe off the street. d. Make sure they have the proper permits and licenses to perform a home inspection. e. Make sure they are insured. ServiceMaster Restore brings more than 60 years of experience helping homeowners and commercial properties recover from all types of disasters, from wind and rain damage to catastrophic tornadoes and hurricanes, and more. Understanding what to do after severe weather has passed can help you get back on your feet much quicker. If you don’t know where to start, call the experts at ServiceMaster Restore to guide you through the restoration process.